After a great first term of school I would like to share one of my completed art projects for some feedback. So far I have been told that more dotting is needed around the nose and neck. Criticism would be great. 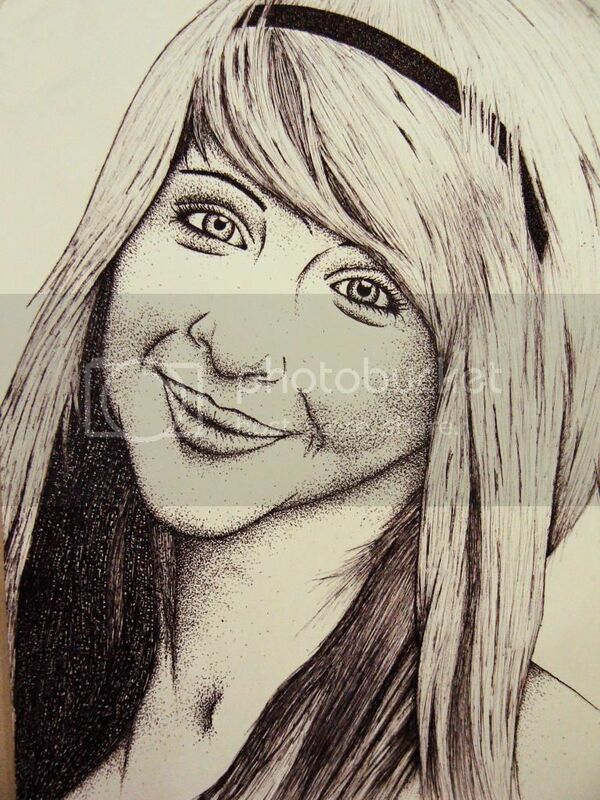 Pointillist - Uses a fine black tip felt pent to dot the portrait. The face bothers me, it seems kinda fat. Like strange. But I do like the rest of it. I think it may look a bit strange because of the angle of the head and the neck. Maybe the right cheek should've been a bit rounder. But really, I'm not one to judge. The pointillism looks great from what I can see. Love the way you did the hair.